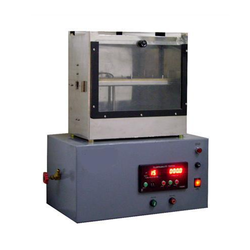 We are among the pioneers in the industry, offering 45 Degree Flammability Tester for Textile to our revered customers. Characterized by a simple design, these testers are easy to use and provide accurate results. Several materials can be tested using these compression testers. Being an organization, we are engaged in offering an unmatched range of Laboratory Testing Equipments to the clients. 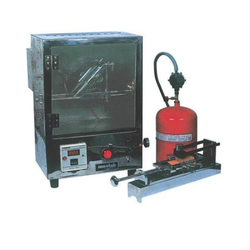 The offered product range consists of Automobile Flammability Tester. Looking for Flammability Testers ?